Our expert stylists provide an array of cutting, color, and styling services with both current trends and sustainability in mind. We welcome your call at 860.232.2873. We also offer online booking for 24/7 access to our scheduling services. 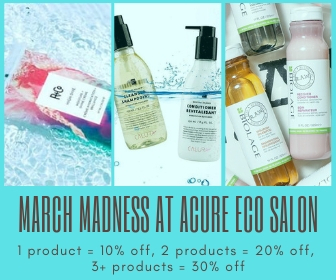 Acure Eco Salon was built on a foundation of experience and technique, with special attention to environmental responsibility.